A short biography of Ukrainian Jewish anarchist and Makhnovist Jacques Doubinsky, who was also active in France and Bulgaria. Iakov Dubinsky (better known in France as Jacques Doubinsky) was born on 26th March 1889 into an family of Jewish artisans in the Ukraine. He studied at a school in Odessa. When the Makhnovist movement sprang up in the West Ukraine he joined an anarchist detachment. With the collapse of the Makhnovist movement he fled over the border to Bulgaria. He was active in the Bulgarian anarchist movement up to the military coup in 1923. He was arrested and tortured. He managed to escape and get to Paris. There he established contacts with the Russian , Ukrainian, Bulgarian and Yiddish exile communities, and became friends with Russian anarchist Volin. Senya Fleshin and Mollie Steimer moved in with him when they came to Paris in 1924. With them and Volin and Alex Berkman he set up the Mutual Aid Group of Paris in 1927, which supported anarchist exiles from Russia, Italy, Spain, Portugal and Bulgaria, who were often destitute. He survived by working at a hundred different jobs - assembly line work, shoe-making, the rag trade, and putting designs on cloth. In the last job he worked with French anarchists Louis Mercier-Vega and Lucien Feuillade. With his wife Rosa he set up the Jewish anarchist bookshop L'Autodidacte. During the war, he had to go into hiding. When the war ended, he gathered the old comrades of Volin together in an association, Les Amis de Voline. This involved itself in publishing Volin’s work on the Russian Revolution, The Unknown Revolution. He also involved himself in setting up the Jewish Anarchist group Der Frayer Gedank-La Libre Pensee (Free Thought) with David and Golda Stetner. 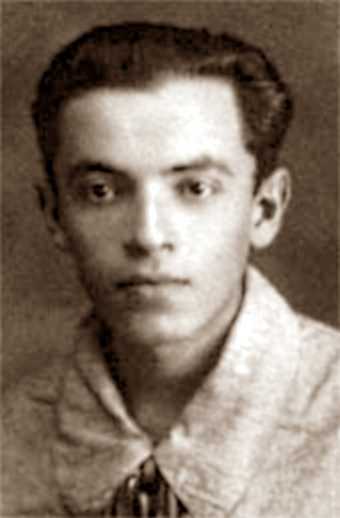 When the Communist regime began to persecute the Bulgarian anarchist movement, he was involved in the Commission d'Aide aux Antifascistes Bulgares. With them he produced a pamphlet on the situation, Bulgarie, nouvelle Espagne (Bulgaria, a new Spain). He was equally involved in supporting Bulgarian anarchists who had fled to France to escape the Communist dictatorship. Doubinsky made many journeys to the United States, to keep up contact with the movement there. He brought back the last message of Rudolf Rocker. He died on 18th February 1959. His novelist grandson Sebastien, himself an anarchist, brought out a novel Les vies paralleles de Nikolas Bakhmaltov, whose main character is based on Jacques and his exploits. libcom.org’s brief summary of the mass movement which swept France in early 2006 against the further casualisation of labour which forced the government into a humiliating defeat. Mouvement Communiste analyze their development and the reasons behind the suburb  riots in France in November 2005 and develop their position and critique from their communist perspective.